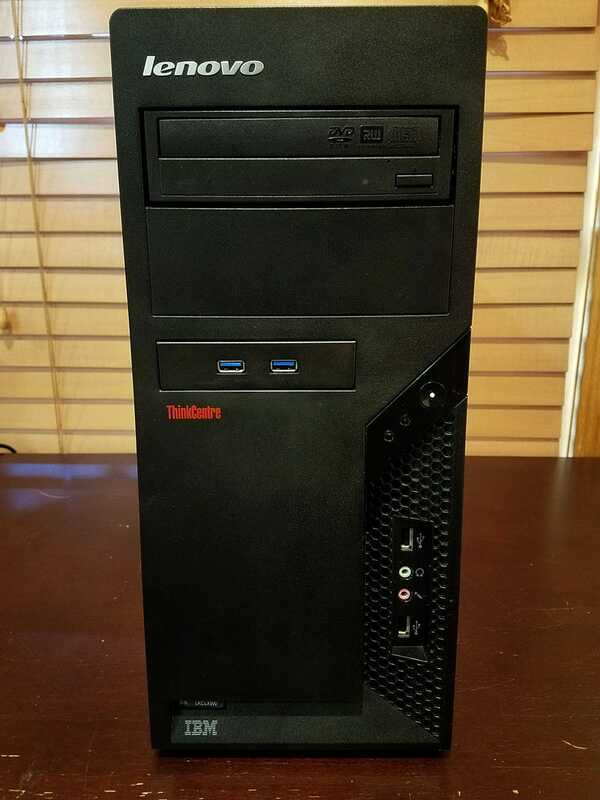 Chose this case cause I’ve always loved IBM’s and Lenovo’s business class computers like their ThinkPad, ThinkCentre, and NetVista lines. This one also was in remarkably good shape. Tossed in a USB 3.0 front panel module in there. The USB 2.0 ports also work. Closeup of the original sticker... It housed an AMD Athlon X2 4400+ with 1GB RAM. The rear, ports galore! Serial port works thanks to COM1 header on motherboard. Authentic Windows Vista product key + label. Side panel is secured with 2 thumbscrews and easily slides out by pressing the tab on the middle right then gently sliding out the panel. All the parts! A tad messy in there. Got a nice black theme going on as well. No lights or RGB or any of that sort here. Lower section... you can spot the 970 EVO right below the cooler. The front panel headers for the USB and audio needed some work. The USB one was easy, Lenovo just had 2 extra ground wires. Removed them and it works fine. The audio one required some work. Got a 40 pack of Arduino male to female pins like this for less than $3 shipped on eBay. First thing was to extend the pins individually, all color-coordinated. Taped it together to be a bit more secure.